The 1290 MHz UFAM (Universities' Facility for Atmospheric Measurement) boundary-layer wind-profiler is a mobile instrument, built by Degreane, intended to be used for field-campaigns. It can cover the altitude range from 75 m above the ground to approximately 4.5 km at resolutions of between 75 and 350 m in altitude and a few minutes in time; the useful altitude coverage varies with atmospheric conditions and only extends significantly above 2 km when precipitation is present. 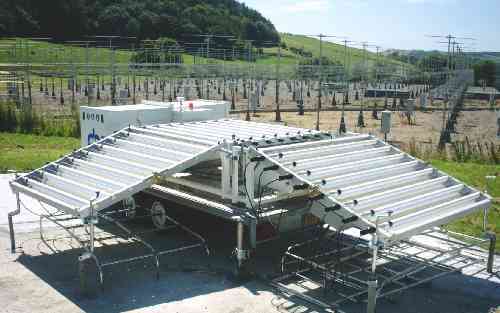 It arrived at the NERC MST Radar site in July 2002 and has been operated there in-between campaigns. The data from this instrument, for the time that it has been operated at the NERC MST radar site, are not currently available through the British Atmospheric Data Centre. The Met Office previously operated one of their (915 MHz) boundary-layer wind-profilers at the site between 17th November 1999 and 11th March 2002.